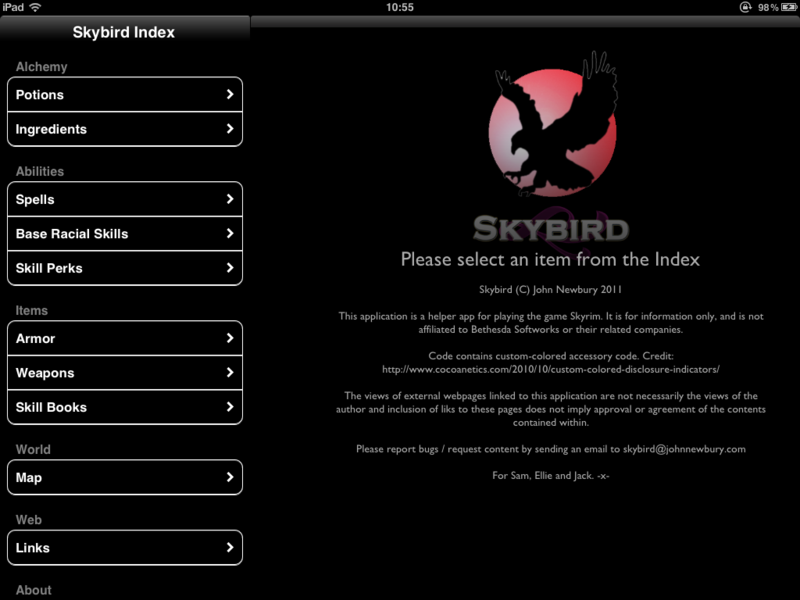 Skybird HD for iPad is a massive reference guide, to help you not only play the Skyrim game, but to win from the start. It is full of data on everything from each and every spell, to each Skill Perk, weapon, armour and ingredient. Mix and analyse potions, check out quest and dungeon rewards, and use the fully-interactive map to get information on every location in the game world. 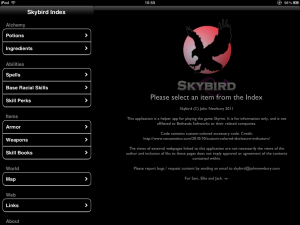 Skybird is invaluable for new and seasoned players of Skyrim, and is available on the Apple App store, for iOS 5.